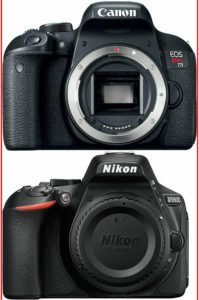 Canon or Nikon – that is the question. In this Canon EOS Rebel T7i vs Nikon D5600 comparison I look at the two cameras side by side to help you decide which one is right for you. Both cameras are very good with subtle differences that may sway you towards one camera or the other. When comparing the width of the 2 cameras side by side, you can see that the Nikon D5600 is a good bit narrower as well. From the top you can see that the Nikon is significantly thinner than the Canon EOS Rebel T7i. One of the biggest differences between the 2 cameras can be seen on the back. 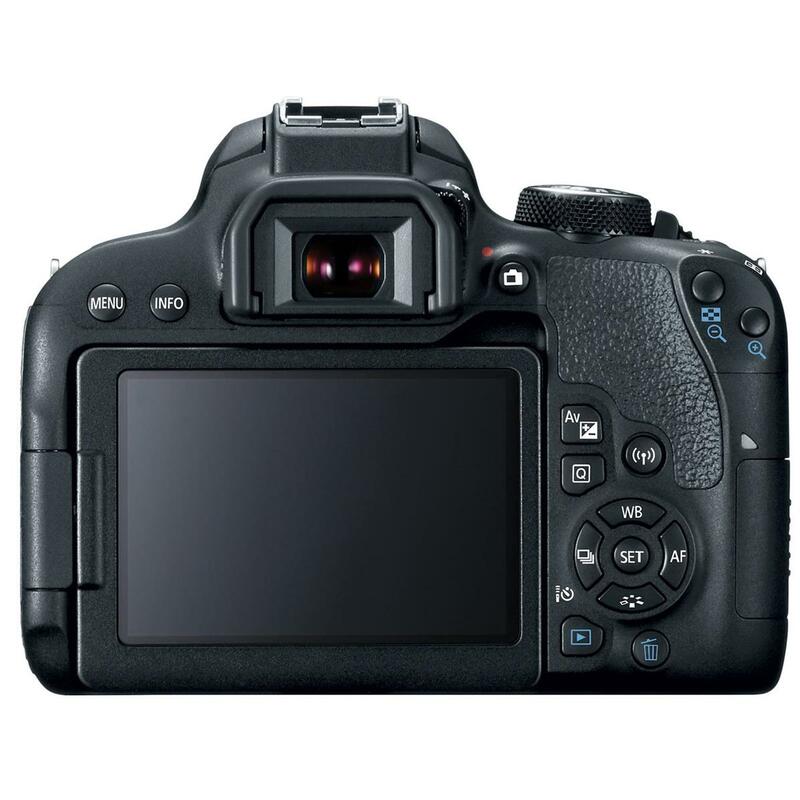 The Canon EOS Rebel T7i features a lot of direct access controls. 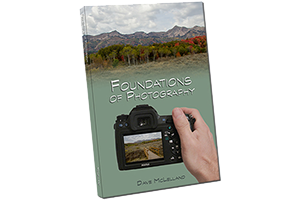 If you plan to do more creative photography in the creative modes (Program, Aperture/Shutter Priority and Manual) then the Canon holds a pretty significant advantage. 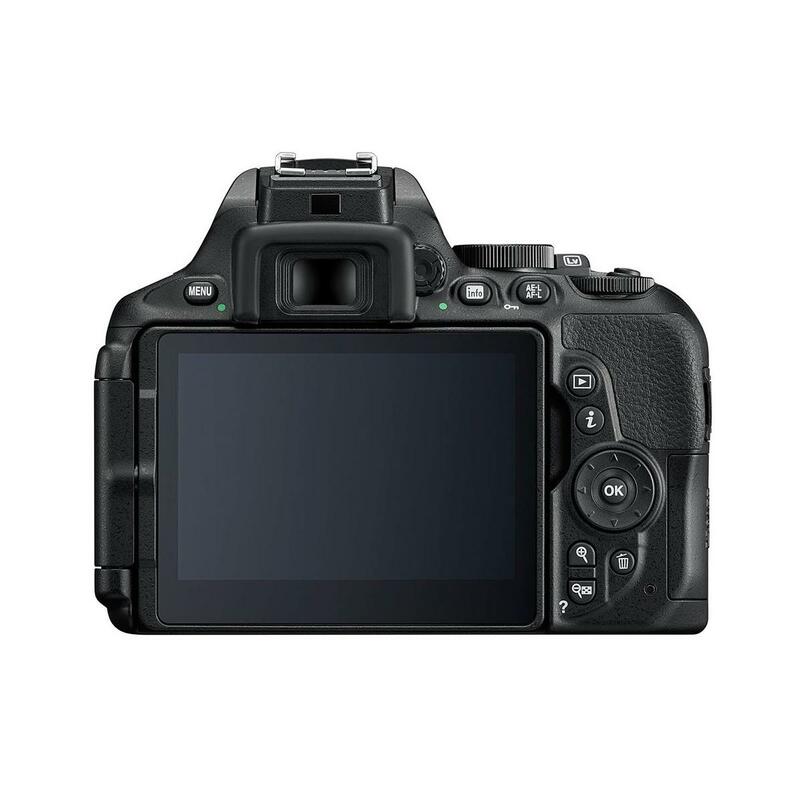 Overall the Canon EOS Rebel T7i and the Nikon D5600 are very comparable. Both cameras feature 24mp imaging sensors that offer excellent image quality. The key differences come down to a few features. The Canon EOS Rebel T7i feels like it is better suited for the advance amateur that wants to start to take control of their camera. This is due to the direct access controls to many settings such as ISO,White Balance, Auto Focus, etc. It also offers Wireless TTL flash control with the built-in pop-up flash and mirror lockup. The Nikon can still be used by advanced amateurs, but will require either accessing the setting in the menu or the quick access menu by pressing the “I” button. With the touch screen, you can then access settings somewhat easily, but again this requires more button presses than I like to make. The Canon also has their excellent Dual Pixel AF. This allows for great auto focus performance in live view and when recording Video. So based on this you would think I would say that the Canon is the clear winner, but if you already own lenses in Nikon, I would suggest sticking with the Nikon unless the Canon has a feature or 2 that you must have. I do like the ergonomics of the Nikon better, and the smaller size and lighter weight are certainly nice to have. If you are shooting moving subjects I prefer Nikon’s 3D focus tracking to the Canon’s even though the Canon has 6 more AF points. The visual feedback of which sensor is being used by the camera is reassuring while the Canon’s AF tracking you just need to trust (and it is usually setting the correct AF point). Dimensions (WxHxD) 5.1 x 3.94 x 2.99 in. 4.9 x 3.8 x 2.8 in. Weight 1.17 lbs. 1.02 lbs.